Everything is possible if we do it together. 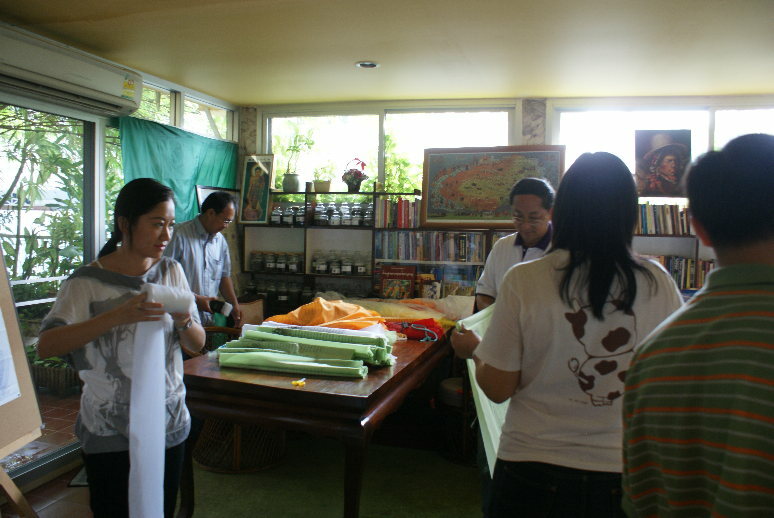 Volunteers were folding, cutting and sewing prayer flags yesterday at the foundation house. 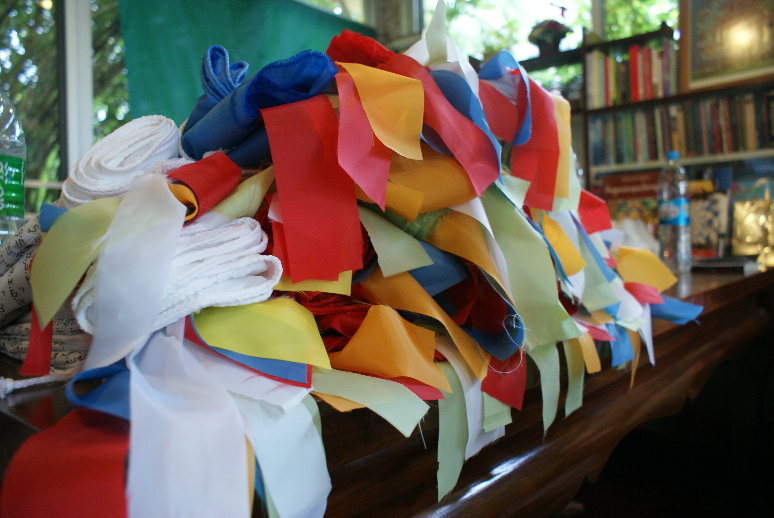 The flags of six colors: blue, green, red, white, yellow and orange will be taken to Kundrol Ling (Khadiravana) for the making of the fourth “Mantra Stupa”. 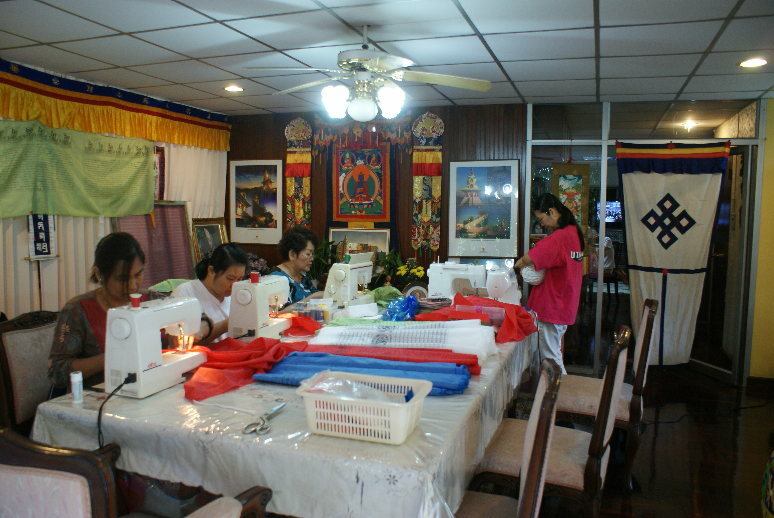 The work will continue today from 9.30 am till 5.30 pm. Everyone is welcome. 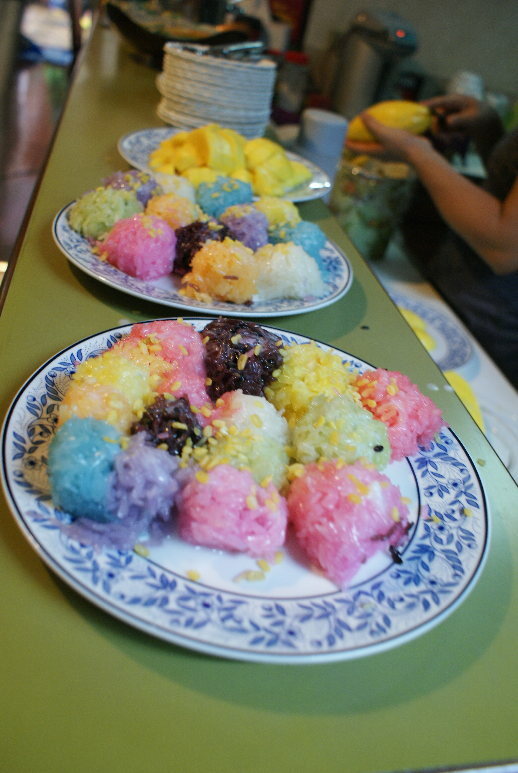 We celebrated our work with sticky rice of rainbow colors.